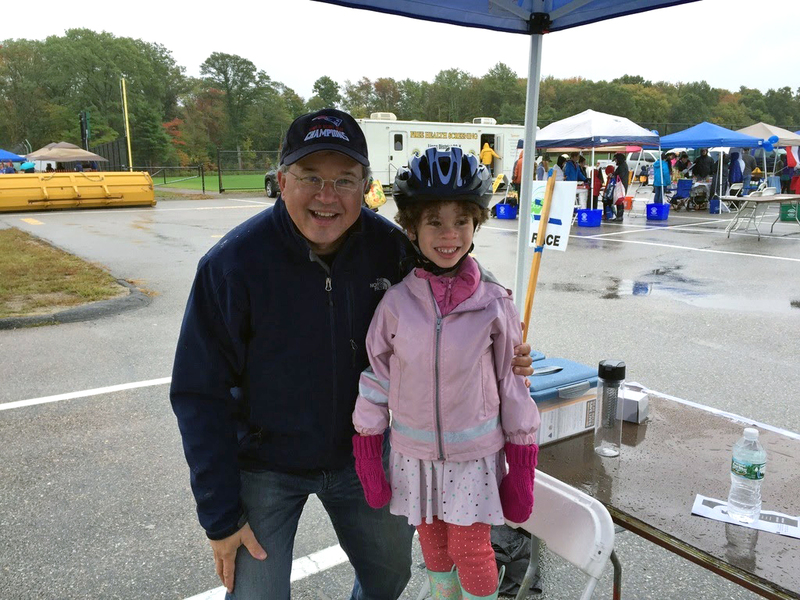 The Westwood Pedestrian & Bicycle Safety Committee distributed 125 bicycle helmets to children at Westwood Day over the weekend. Despite the cold and rainy day, families turned out and the committee distributed the helmets in a little more than two hours. Breakstone, White & Gluck donated the bicycle helmets as part of our Project KidSafe campaign. Attorney David W. White is a Westwood resident and participated as a member of the Westwood Pedestrian & Bicycle Safety Committee.